Laboral Kutxa Vitoria improved to 3-3 in Group D and sent a message that echoed all around the Turkish Airlines Euroleague by topping Maccabi Electra Tel Aviv 65-70 on the road on Thursday. Tibor Pleiss paced the winners with 16 points. David Jelinek added 14, Milko Bjelica tallied 11 points and 10 rebounds and Lamont Hamilton added 10 points for Vitoria. 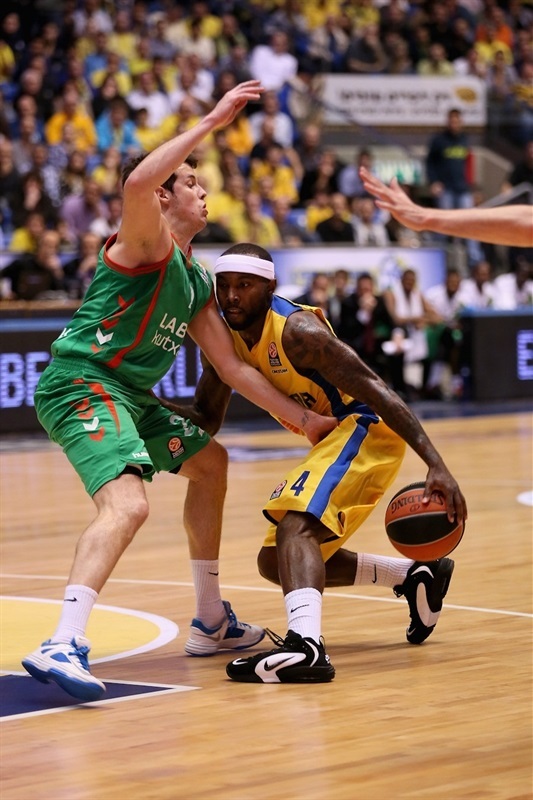 Shawn James led Maccabi with 16 points on 8-of-9 two-point shots and 4 blocks. David Blu added 12 points while Ricky Hickman had 11 for the hosts, who dropped to 4-2 and have only lost against Vitoria in this Euroleague season. Pleiss shined early in the game and a wild buzzer-beating triple by Walter Hodge gave Vitoria a 16-20 lead after 10 minutes. Hickman and Sylven Landesberg shined late in the first half to give Maccabi a 35-34 lead at halftime. Maccabi opened the second half with an 8-0 run but Jelinek, Bjelica and Hamilton helped Vitoria regain the lead, 49-51, at the end of the third quarter. Jelinek and Bjelica gave Vitoria a 57-63 lead, but James and Joe Ingles helped Maccabi to make it a one-point game, 62-63. Back-to-back jumpers by Pleiss and Jelinek allowed Vitoria to cruise to a well-deserved, pivotal road win. Both teams struggled to score early until Pleiss took over with a wild alley-oop layup. 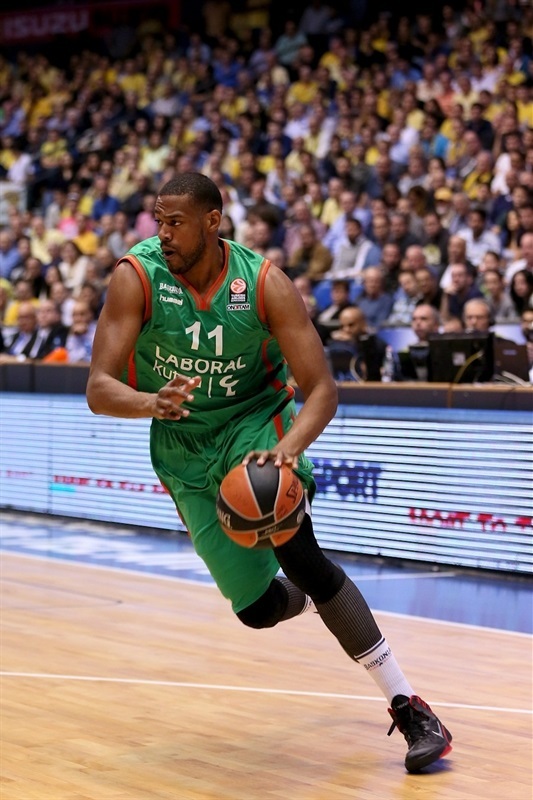 Sofoklis Schortsanitis, a surprise starter for Coach David Blatt, scored down low, but Jelinek quickly answered with a mid-range jumper for a 2-4 Vitoria lead. 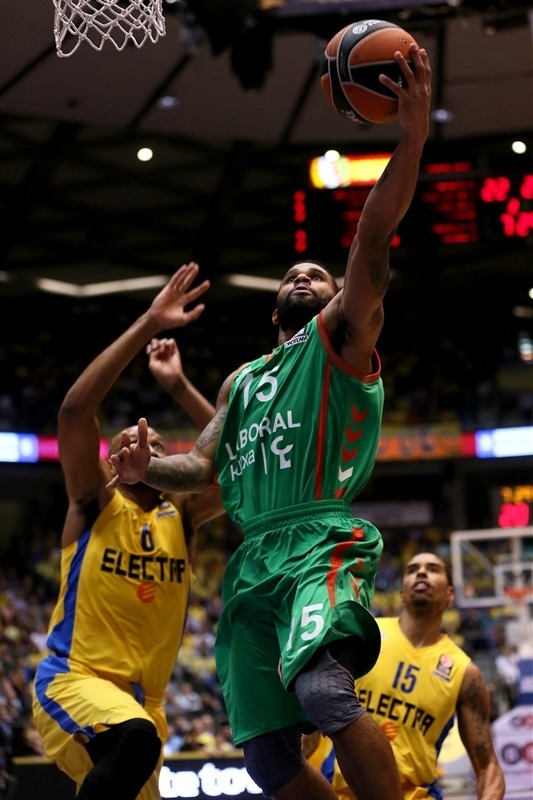 Tyrese Rice sank a close jumper that Fernando San Emeterio erased with a one-handed floater. Pleiss scored around the basket and a put-back layup by Bjelica made it a 6-point game. A dunk by an unstoppable Pleiss capped a 0-8 Vitoria run. Devin Smith split free throws for a 5-12 Maccabi deficit. Vitoria kept powering the offensive glass and a three-pointer by Jelinek boosted the guests' lead to double digits, 5-15. Shawn James stepped up with an off-balance layup and a driving basket by Rice got the crowd involved at 9-15. Thomas Huertel sank a mid-range jumper that Rice bettered with a three-pointer. James shined with a put-back layup and Blu dunked off a steal, but a buzzer-beating, off-balance triple by Hodge set a 16-20 Vitoria lead after 10 minutes. James scored again early in the second quarter, but a layup by a recovered Lamont Hamilton gave Vitoria a 18-22 lead. 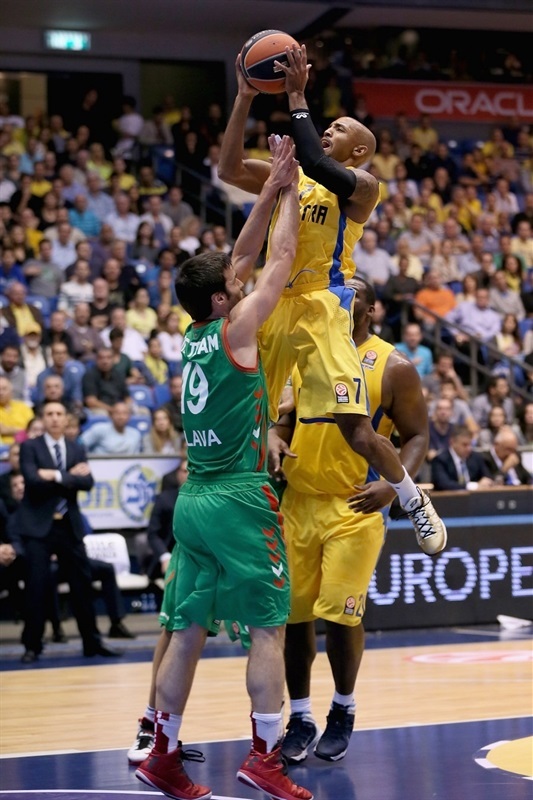 Blu buried his trademark corner triple, as Maccabi improved its defense and refused to allow any open shots now. Vitoria did not panic, however, as Hodge shined with a coast-to-coast layup and a three-point play by Hamilton gave the guests fresh air at 21-27. Landesberg buried a three-pointer and a put-back basket by Schortsanitis brought the hosts as close as 26-27. Bjelica finished a broken play with a close basket that Hickman matched with free throws. 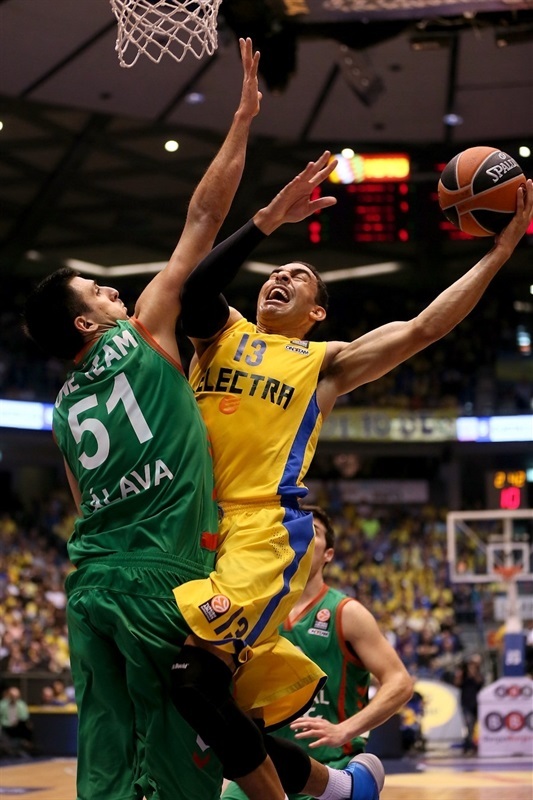 Pleiss shined with a left-handed jump hook, but Hickman kept pacing Maccabi with an uncontested slam. 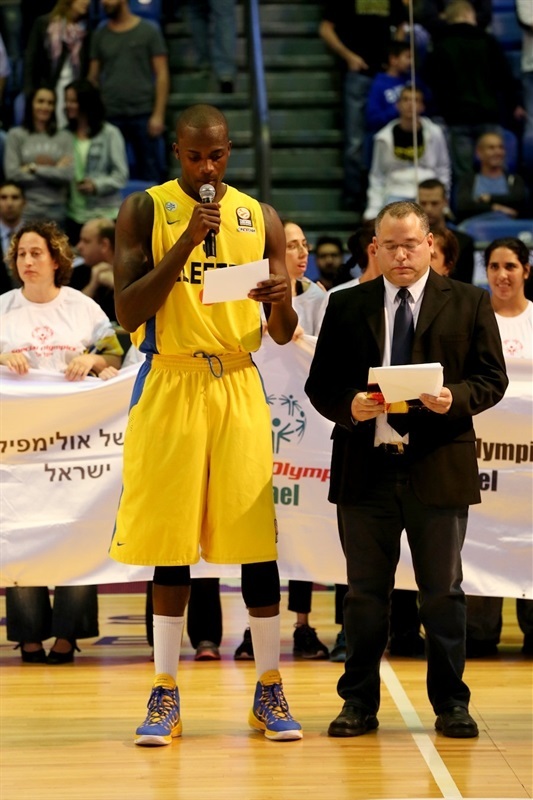 Landesberg split foul shots and Hickman completed Maccabi's comeback, 33-31, with more free throws. Leo Mainoldi nailed a three-pointer, but Landesberg finished a great team play with a slam to restore a 35-34 Maccabi lead at halftime. 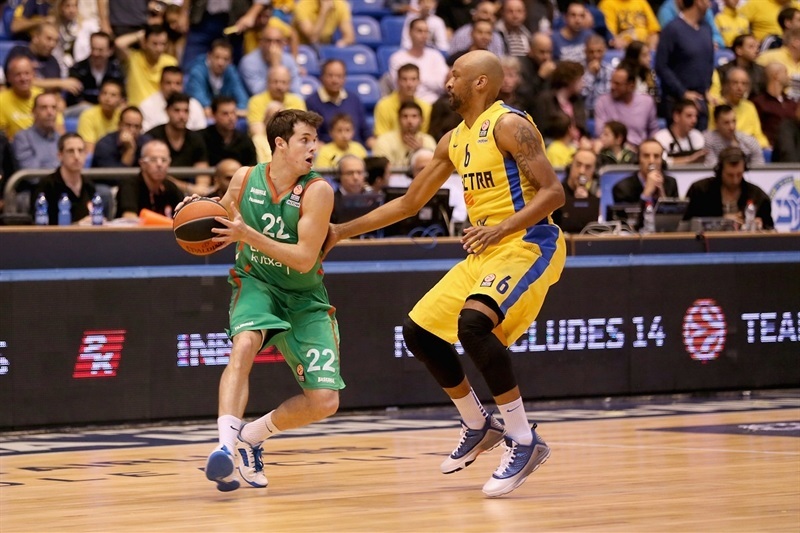 James scored around the basket immediately after the break and Hickman downed a jumper for a 39-34 Maccabi lead. Hickman scored again and an outstanding put-back slam in traffic by James forced Vitoria to call timeout at 43-34. Vitoria found a go-to guy in Jelinek, who followed a three-pointer with an acrobatic basket. A big block by Hamilton allowed Bjelica to score at the other end, bringing Vitoria even closer, 43-41, midway through the third quarter. Ingles, who had been scoreless until this point, took over with a slam. 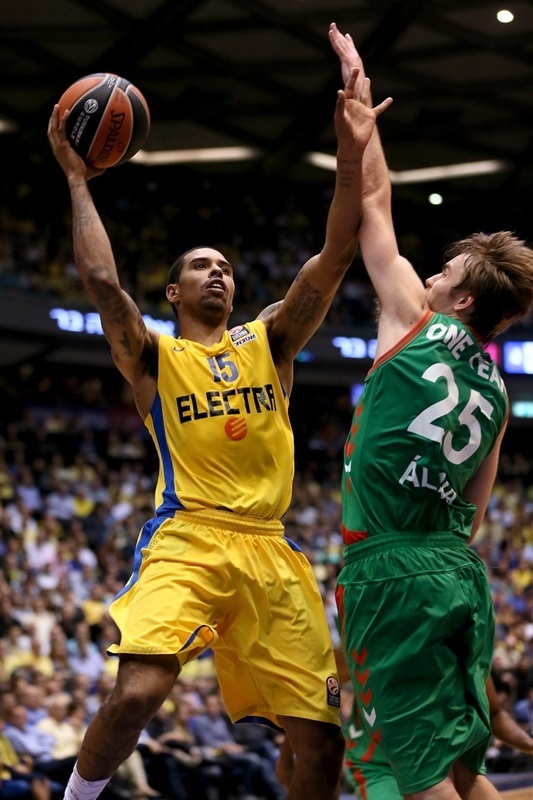 Hamilton kept pacing Vitoria with a jump hook. Blu matched him with a six-meter jumper. Heurtel found space for an open jumper that Blu equaled with a layup. Hamilton took over with a three-pointer and Bjelica also struck from downtown to complete the guests' comeback, 49-51, at the end of the third quarter. Pleiss sank a jump hook early in the fourth quarter, as Maccabi struggled to score against the guests' physical man-to-man defense. Landesberg rescued the hosts with a driving layup, which Pleiss matched with foul shots to make it 51-55. The guests started to miss open shots from downtown, however, and James scored around the basket. Hodge stepped up with a six-meter jumper and a driving basket by Jelinek made it a 6-point game with less than six minutes to go. Smith shined with a put-back basket that Bjelica matched with an easy layup. Hickman made free throws, Pleiss scored around the basket, but an unstoppable James followed a layup with a two-handed slam for a 61-63 Maccabi deficit with three minutes to go. Ingles split free throws and a baseline jumper by Pleiss gave Vitoria a 62-65 edge with a minute to go. Smith missed from downtown and a five-meter jumper by Jelinek sealed the outcome, 62-67, with 20.7 seconds left. Maccabi did not recover, and Vitoria was able to celebrate yet another win at Nokia Arena - the club's sixth in its last 11 visits to Tel Aviv. 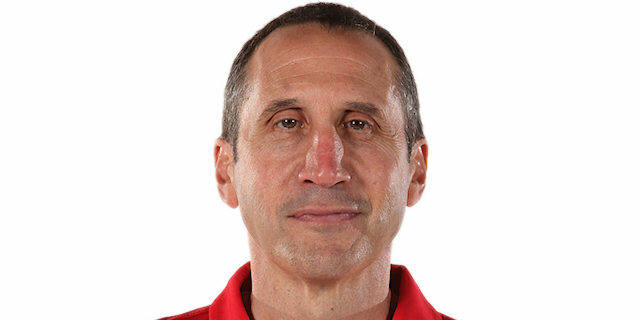 "We lost the game with our defensive rebounding. 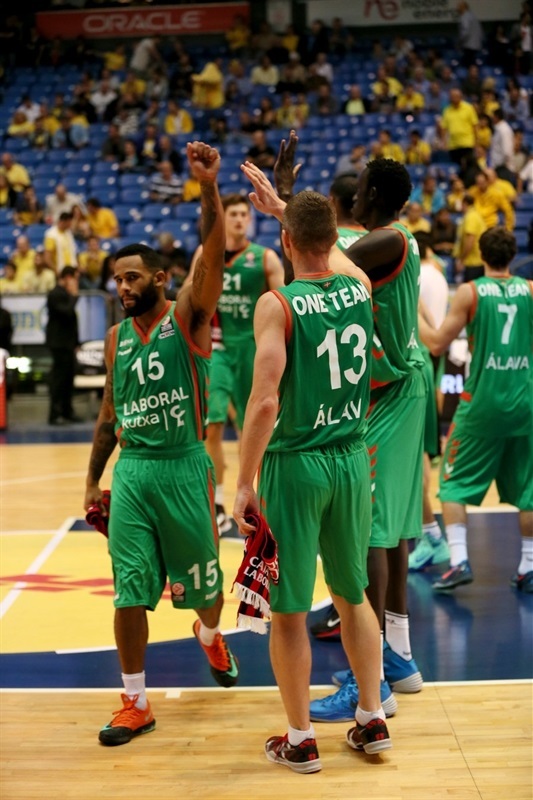 I think maybe the [loss in the Tel Aviv] derby affected us in the first quarter, but we came out of it and at a certain point took control of the game. We lost our momentum after their timeout. In any event, we had the ball with a minute left and we could have turned the game over, but we didn’t succeed. We missed a layup and that’s when we lost our chance to win. It’s a tough group and it will be tough until the end. " "I am very pleased with my players and that we managed to beat a good team on a tough court. It was a very tactical game and we played well on both ends of the court. We played as a team and we controlled the rebounds. This gives us a big push going ahead. "